Wrap up the most delightful gifts with any shade of ribbon or tissue, enclose an intricately detailed or beautifully decorated card, send out a strikingly sophisticated invitation or record your thoughts with the perfect pen on custom engraved notepaper. 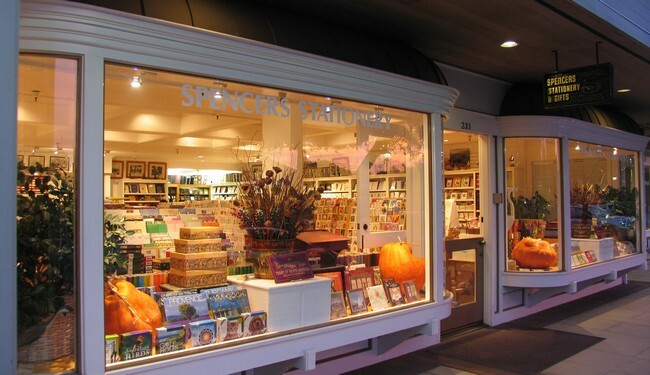 Spencer’s Stationery has been offering you all this and more in Carmel since 1936. Featuring engraved wedding invitations and stationery by Crane and William Arthur, customized leather photo albums, journals, desk accessories, office & art supplies, complete Caspari cards, notes and napkins.